Bowflex Xceed Review - Is It Worth Buying in 2019? Bowflex Xceed Review – Is It Worth Buying in 2019? Having a Bowflex home gym is a great way to stay fit and get in shape at home. They offer the latest and best in resistance based technology and allow you to perform a host of exercises in the comfort of your own home. The Bowflex Xceed Home Gym is no exception! In this Bowflex Xceed review, we take a look at all aspects of the xceed and also include a Bowflex Xceed vs Xtreme 2 SE comparison at the end. So let's jump right into the review. What Attachments do you get with the Xceed? Most persons with a home gym machine tend to use them mostly as a coat hanger! They are dull looking, heavy and tend to take up a tonne of space in your homes. And to make matters worse, they are just no fun to use! As a result, we often get asked if buying the Xceed model from Bowflex home gym lineup will be any different? That's a valid question anyone should be asking but only if they've never seen the new Bowflex Xceed! To start this review, we'll first take a look at the design of the machine. The purpose of the Bowflex Xceed is strength training; as a result, it incorporates everything you expect a tower styled gym equipment would offer. The frame of the machine sports a sleek grey metal finish made from heavy-duty steel. Accompanied by black accents and the black and red Bowflex logo, the structure of the Bowflex Xceed truly stands out among the crowd of workout towers. The Bowflex Xceed's seat, hand grips, and leg cushion don a comfy high-density polyurethane foam. These materials will ensure that you have no discomfort using your Bowflex Xceed! However, the seat of this model is a vertical one which will not allow you to do horizontal bench presses. One cool feature about the chair is that the height can be adjusted to accommodate persons of different heights. The Bowflex Xceed has a dimension of 6 feet 11 inches high by 4 feet 10 inches long by 4 feet 1 inch wide. Comparing those dimensions to other workout towers you should have no problem fitting the Xceed in most spaces. However, you should also consider the minimum workout area that you need when exercising. The required workout area of the Xceed is 8 feet by 6 feet 5 inches. All in all, it is a fairly compact home gym that most persons should have no issue storing. With your purchase of the Bowflex xceed home gym, you'll receive a standard user manual. The user manual shows how to set up the machine and all the exercises you can do with this machine. You'll also get the leg attachment which is not present on most other home gyms of this category. In addition to the leg attachment, you do receive a squat bar, an ab training strap, and a lat bar. Another thing we think should have been included but wasn't is the power rod rejuvenator. However, you can purchase it separately for just $14.99. The features are where the Bowflex Xceed truly shines and stands out among other home gyms. The Xceed home gym model features the capability to do 65 gym quality exercises. This number is notable considering that most commercial home gyms only offer 25 - 30 exercises at best. That's 65+ different exercises you can do on the one machine! For a more precise breakdown of the different types see the image below. The Bowflex Xceed features 210 lbs of resistance to go along with the high number of exercises available. The 210 pounds of power rod resistance can be further upgraded to 310 lbs or 410 lbs if you purchase the respective weight kits. The Power Rod Technology is Bowflex's signature weight resistance kits that offer a safe and reliable weight system to aid your exercises. Power Rods are made from poly hexamethylene adipamide rods attached to the back of the Bowflex machine that flexes when pulled. Another great feature of the Bowflex xceed is the user weight limit and height limits of the machine. Other popular home gyms sometimes have a very low user weight limit, but the Xceed model features a standard 300 lb limit. For the height, the Bowflex xceed can comfortably accommodate users at 6 ft 5 inches. However, if you are any taller than that, you may have issues with doing some exercise variations. Bowflex Xceed usually has a price of about $$$, however, this price fluctuates from time to time. So to be sure what the price is you can click here to check the latest price. For the warranty, you get seven years on the frame of the machine. Depending on where you purchase the xceed home gym machine, the warranty on the rods and parts may vary. So be sure to check with the seller. One of the most significant downsides to the Bowflex home gyms is the assembly. Assembling the Bowflex Xceed does take a few hours however you get clear instructions to guide you through. You will get two Allen keys with the product, but you also need to have an adjustable wrench and a set of screwdrivers on hand. To give you a clearer picture we've listed all the pros and cons we've found on the Bowflex Xceed. It offers a great warranty. The Xceed includes a lat bar and squat bar. Allows you to perform 65+ exercises. The Bowflex xceed has a user weight limit of 300 pounds. Comes standard with 210 lbs of resistance. Resistance Rods upgrades available to 310 lbs or 410 lbs. Compact design with a chair which the height can be adjusted. Power rod rejuvenator is not apart of the case. It does not allow aerobic rowing. The Bowflex Xtreme 2 SE is the best selling Bowflex model in 2019. It features the best that the company has to offer in design and features. Honestly, the Xceed is a very close match to the Bowflex xtreme 2 se, and the differences may be negligible to most persons. In this comparison, we'll take a look at the differences and similarities in design, features, price, warranty and customer reviews. To start things off, we've included a comparison chart of the Bowflex Xceed and Bowflex Xtreme 2 SE below. 210 lb - Upgradable to 410 lbs. 96" x 78" x 83"
Like the Bowflex Xceed, the Bowflex xtreme 2se is almost identical in style as the former model. It features the same color scheme and the vertical bench. Even the included attachments and positioning are pretty much the same as the Bowflex xceed. The Bowflex Xtreme 2SE is also a little larger than the Bowflex xceed. It has a dimension of ----. Furthermore, the xtreme 2 se model also requires a workout area of 8 feet by 6 feet 5 inches. This larger workout area is somewhat negligible considering the size of the other competing brands like a total gym or Marcy towers. The real differences between the Bowflex xtreme 2 se vs xceed are in the feature that each model offers. However, there are many similarities here as well. Both models provide a standard power rod resistance of 210 lbs which you can upgrade if you need more of a challenge. As mentioned in the review of the Bowflex xceed home gym, the upgrade kits come in the form of a 310 lbs or 410 lbs power rod kit. Regarding exercises, you do get a slight increase of 5 more exercises on the Bowflex xtreme 2se. So in total, you get 70+ gym-quality exercises on the xtreme 2 se model in contrast to the 65 on the xceed model. What makes the Bowflex Xtreme 2 SE better in features than the Bowflex xceed model is the addition of the no change cable pulley system. 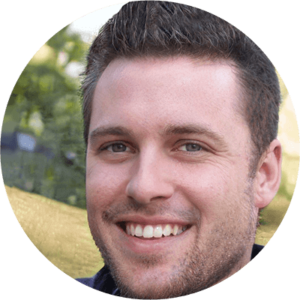 This system allows you to switch between exercise types without having to make any changes. You are also able to purchase the optional preacher and abdominal attachment. Another great benefit of the Bowflex Xtreme 2 SE is the free trainer designed workouts in the manual of the xtreme 2se. The exercises are a 2 minute better body workout, a 20-minute upper body routine, a 20 minute lower body workout, a bodybuilding workout routine, a circuit training routine, a true aerobic routine, and a strength training routine. Winner: Bowflex Xtreme 2 SE. The most substantial factor and difference when comparing the Bowflex xceed vs extreme 2 se is the price. The Bowflex xceed typically retails for $$$ while the Bowflex xtreme 2 se usually sells for roughly $$$$. We don't think it is justified to spend extra on the Xtreme model after weighing what you get on both models. However, there are a few perks that only the Xtreme 2 SE model have to offer such as the no change cable pulley, adjustable seats, and the trainer build workouts in the manual. However, both models do provide a similar number of exercise capability which is the most important thing when choosing a home gym. The warranty on both models is identical, so nothing to compare here. So you may be wondering which model is better to buy so we've added the buyer's guide checklist below to help. You don't mind spending more on the Xtreme 2 SE. If you prefer having the no change cable pulley system, then pick the xtreme 2 se. You want the capability to do the extra ten workouts. If you don't want to spend a few extra hundred bucks for the no change cable system. Having 65 exercises is more than enough for you. You prefer to go with the model that takes up less space. The Bowflex Xceed home gym is a great machine to help you stay in shape and get fit at home. It offers a whole suite of total-body exercises that most other home gyms lack. And it comes at a very reasonable price point that we think is worth every penny. 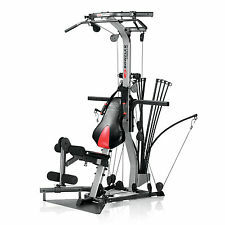 Also, the quality of the materials and overall structure of the machine is superb as you would expect of a Bowflex gym. As such we wouldn't hesitate to recommend the Bowflex Xceed over other brands or even the Xtreme 2 SE. For more in-depth reviews, you can visit our buyers guide for the best Bowflex home gyms. If you found this review helpful don't forget to share or leave a comment to let us know your thoughts.